In 1967 Aretha Franklin was 25 years old. She was already something of a music industry veteran, having recorded no fewer than nine albums. Yet not one of these records had troubled the top of the charts. The year before she’d been dropped by Columbia. It was quite possible that Aretha Franklin would be just another name on the forgotten list of singers who had a great voice but never quite made it. Her new record company, Atlantic Records, decided they had to take a different approach. So they sent her south, to Alabama, to the Fame recording studios in Muscle Shoals, run by the eccentric, visionary and exquisitely moustachioed producer Rick Hall. As was the way in those days, the studio had an in house band. They were known as the Swampers. When Aretha got together with them on that fateful January morning something extraordinary happened – a moment of astonishing creative alchemy. For the first time in a recording studio Aretha’s voice soared, unchained at last, and delivered the soulful brilliance which we’d all come to know and love. By lunchtime Aretha and the Swampers had laid down ‘I Never Loved a Man the Way I love You’ and Aretha’s stellar career had finally begun. What makes this story all the more remarkable is that fact that the Swampers, who were responsible for the irresistibly soulful sound not just on Aretha’s records, but on hits by Etta James, Wilson Pickett, Percy Sledge and the Staple Sisters, were five ordinary looking white guys - the kind you could easily mistake for electrical engineers. That they were making such a significant contribution to popular music by black artists in one of the most racially segregated states in America, and at the height of the civil rights struggle, was all the more incredible. Don’t sequester your creativity, squirreling your ideas away through the fear that they’re not good enough or that someone else may claim them as their own. Instead, look for creative friendships and seek them in unlikely places. 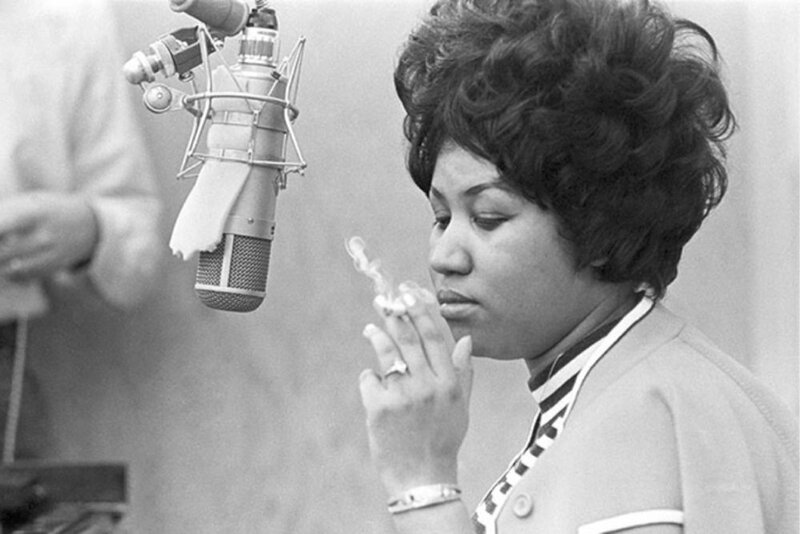 Work with openness, honesty and trust, just like Aretha in Muscle Shoals. And when that magical moment happens where you and your collaborators suddenly become greater than the sum of your parts … boom. There’s no better feeling.